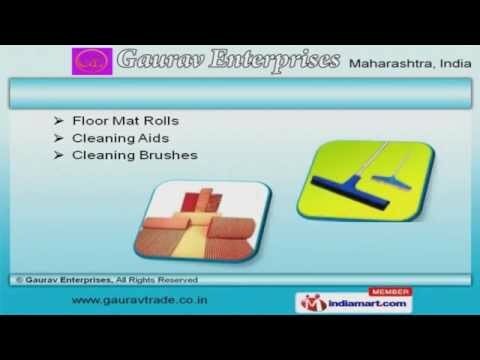 Welcome to Gaurav EnterprisesManufacturer & Supplier of House Keeping Materials. The Company was incepted in 2007, at Pune. Good financial position & Total qualitymanagement help us to cater Indian Subcontinent. Carpet House & Absicca are some of our esteemed clients and we are supported bycustomized solutions & Industry leading prices. We offer a vast range of Door, Entrance, Outdoor & Floor Mats. Our Bathroom Mats & Dining Table Placemats are in huge demand across the globalmarkets. Floor Mat Rolls & Cleaning Brushes offered by us are best in the industry amongstothers. We also provide Cleaning Mops, Dusters & Accessories that are a class apart. Our Floor Brooms & Hand Made Paintings are widely acclaimed in the market. Along with that we offer Waste Bins & Utensil Scourers that are cost effective.